dimpled babies or cheery daffodils? and silent beating black-veined wings. to light your world again. I’d been invited to participate in a poetry reading in honor of Earth Day 2013 at the First Parish Unitarian Universalist church, which my husband and I had recently joined. But what to read? Always heedful—perhaps too heedful—of others’ expectations, I assumed most people would be anticipating poetry that celebrated the glories of nature: the sunrises and sunsets, the flowers, the seasons, the birdsong, the purple mountains’ majesty—you get the picture. Not that I don’t find “nature” glorious (though even the attempt to define nature, much less enumerate its glories, leads to its own predicaments), but the nature in my poems has seldom been the kind that’s traditionally celebrated. Meaning, I suppose, that it’s neither inspirational nor ephemeral. I like things gritty. Always have. When others search the skies for rainbows, I’m squatting in the leaf duff, budging half-rotten logs, hoping to meet the shy creatures hiding in that beautiful, dank darkness. Maybe because I felt icky about myself for much of my childhood (okay, for much of my adulthood too), I’m drawn to facets of the planet that most others find icky, or at least not worthy of positive attention. These are my peeps: the silent, coiled and uncoiling snake; the slow and sticky-skinned salamander; the mantis twisting her neck in a measured swivel; the tiny, purposeful ant bearing his impossible load; the spent dairy cow, knees crumpling, being thrashed to keep her walking those final, painful steps toward the kill line. I decided I wanted to write a new poem for the Earth Day reading, and since I’d been so inspired by Mary Ellen’s grace, intelligence, and passion for all earth’s inhabitants, I thought I’d try to write one for her. 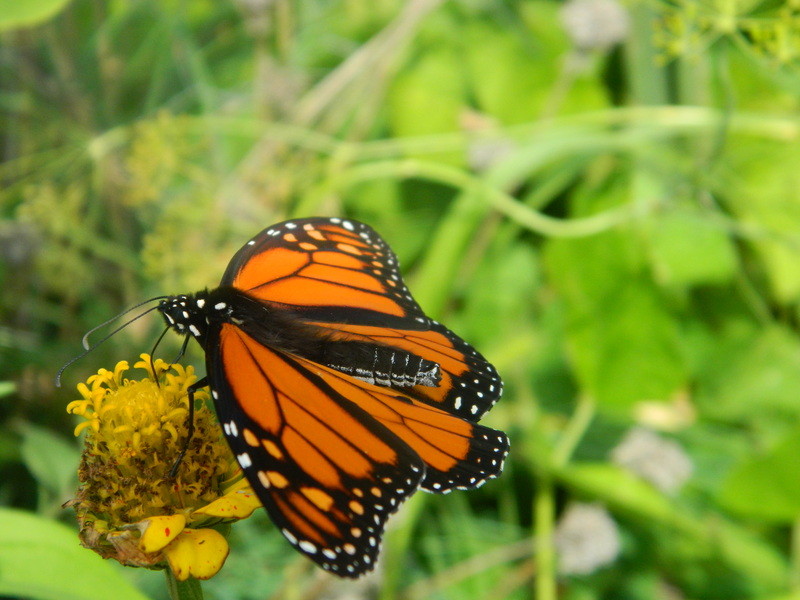 Of course, it had to be about her beloved monarch butterfly. But me being me, I knew that my poem had to be gritty, by which I mean not ugly or intentionally bleak, but simply real. And it occurred to me that the way to do this would be to write a poem that reminded us that butterflies belong to that despised category of animal life colloquially known as “bugs.” Scientifically, the classInsecta, which includes reviled species such as flies, mosquitos, termites, wasps, and cockroaches. Somehow, because our culture has sentimentalized and romanticized butterflies as symbols of beauty, the fact that they are (poisonous!) 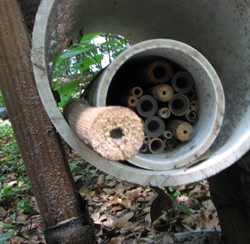 insects (and not “flying flowers”) escapes us. I am thrilled to share that Mary Ellen Ryall, Butterfly Woman Publishing owner and Happy Tonics, Inc. board member, will be offering environmental education programs at Gateway Park along the Nashua River in Fitchburg, MA. 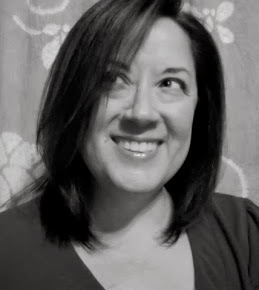 Shelia Lumi, director, Central Massachusetts Art and Agriculture Coalition, will work with Ryall in offering environmental projects and gardening talks at the park. There is a Community Garden within the park that Lumi will be in charge of. 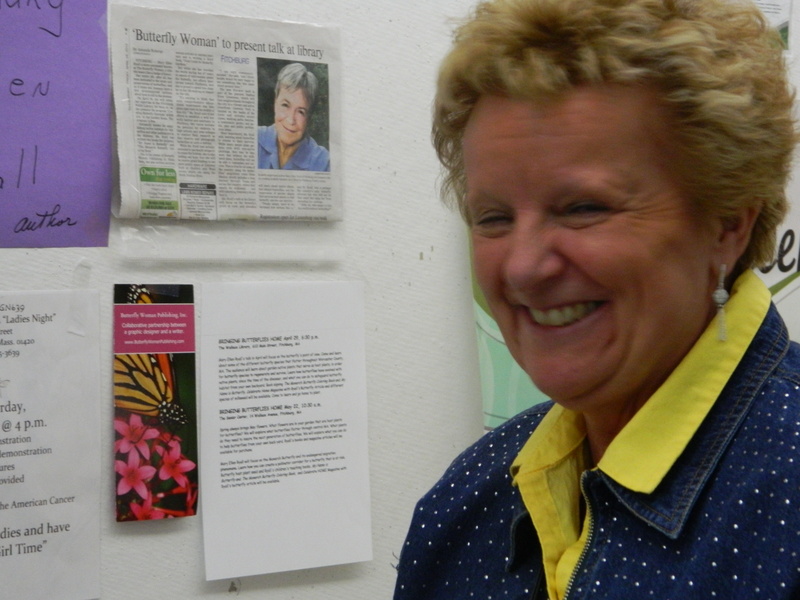 She is the director of the monthly local Fitchburg Farmers Market at Fitchburg Art Museum. 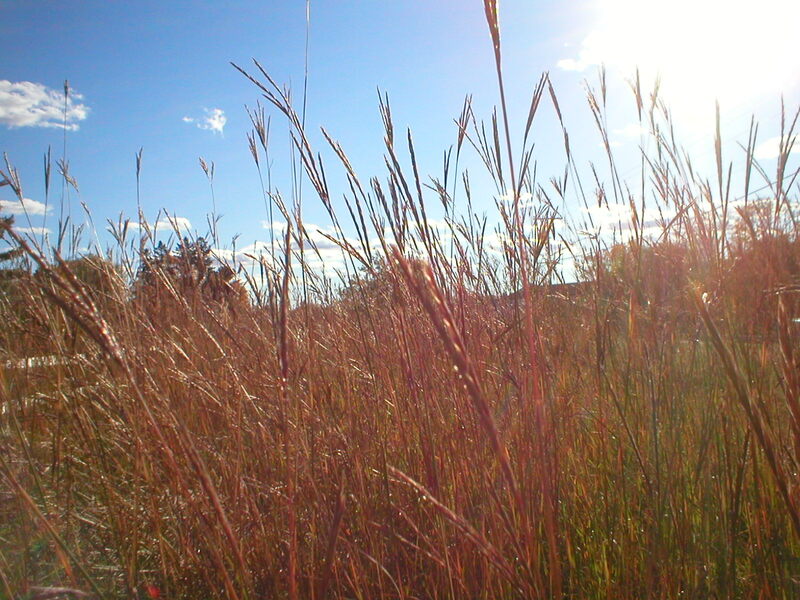 Both Lumi and Ryall are excited to collaborate on Environmental Education at Gateway Park in the summer of 2013. Stay tuned for more news. . This is a prelude of things to come re: http://www.magcloud.com/browse/issue/513977/follow?__r=291900 View a FREE digital version of Celebrate HOME Magazine at this link. Celebrate HOME Magazine is edited by Barbara Kelly, Editor-In-Chief, Design and photography is by Cindy Dyer, Graphic Designer. Recently, I had the pleasure of writing a small article on what home means to me, which was recently published in the winter 2013 issue. 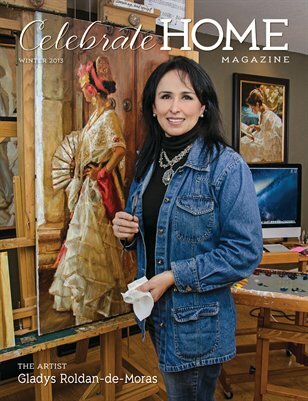 Enjoy the articles and photography featuring The Artist Gladys Roldan-de-Mores,.articles and photographs on home interior decorating, cooking, gardens, recipes,pets, collecting and more. I have been asked to write a gardening article on a native Wild Butterfly Habitat in the next issue for spring. 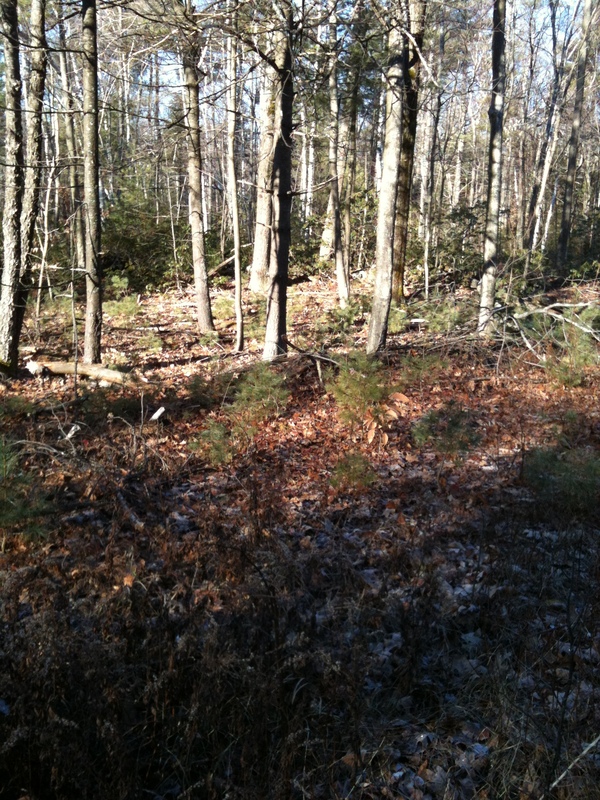 I am implementing the new habitat on family land in Fitchburg, MA. Keep checking back for more to come. .
Audrey Scharmen and Mary Ellen Ryall are butterfly and cardinal flower friends. In the aftermath of lighting, thunder and a heavy downpour with the horizon streaking rose and mauve, tall silhouettes of trees encircle a dooryard garden where the cardinal flower stands amid a bed of her offspring. She is regal and rainsweet, unbowed by the storm, each scarlet spike of florets beaded with diamond droplets aglitter in the fading light. Lobelia cardinals, older than time, symbol of hope and continuity in an era when both are precarious, has chosen this garden of an herbalist and healer as a sanctuary. Here are boneset, lion’s foot and agrimony. Argiope spins silver among catsclaw and zebra grasses where winged Luna and Promethea linger to meditate and metamorphose. Here is a strident chorus of tree frogs and birdsong, the fecund scent of a generous season, and the subtle fragrance of white sage burned in an ancient ritual of welcome. The gardener, who presides with the blessings of the natural world, describes an entourage of daddy longlegs spiders that came to spread a net about the cardinal’s buds when predators threatened. The spiders quietly retreated when the first flowers opened and the plant remains flawless. 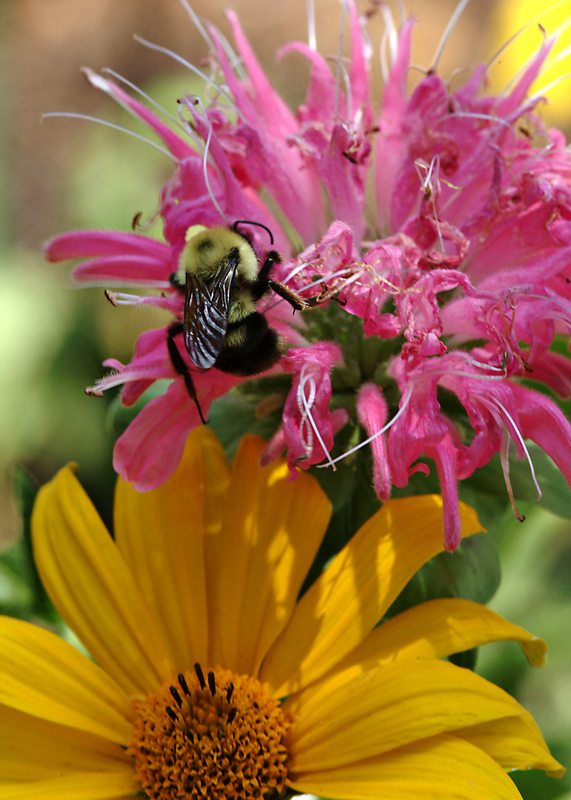 She tells of hummingbirds who came to pollinate-among the few winged creatures able to penetrate the deep nectar of the florets-and of a fat bumblebee who sleeps nightly amid the blossoms. And she tells of the cardinal’s coming. To this thickly wooded acreage that she has long tended in the watershed of a great estuary, where precious fossils of an inland sea abound, and where relics of Piscataway Indians who once hunted here lie all about, have come uncommon botanicals, seeking refuge from the constant threat of progress. 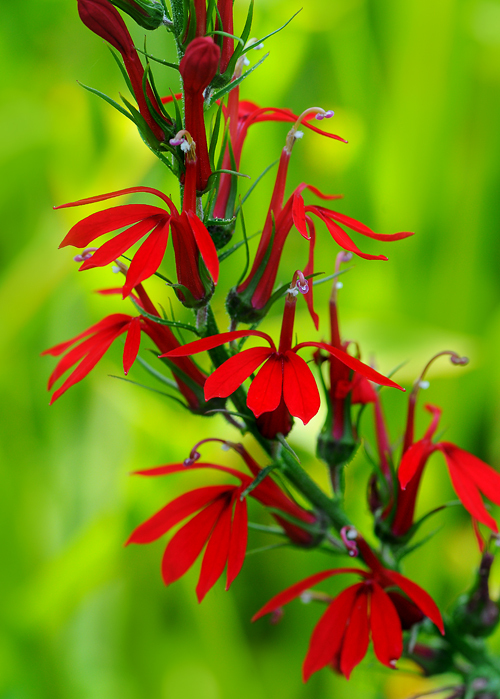 But her garden lacked a cardinal flower, an elusive plant she coveted. It is a stunning survivor of the warm period that preceded the glacial epoch-its flowers so intense a hue the leaves often are stained with it. It is said that no color due to sustained sunlight could have originated in our temperate zone. Thus its birth has been traced to the Age of Flowers, to a sudden violent explosion that changed the face of Earth. The cardinal indeed may have been present at the creation. The gardener’s efforts to transplant such a flower had been futile and she had gone in search of it in a woodland beside the bed of a brook in a nearby glen protected by dense undergrowth and tall trees. Stalks of summer things spoke of a secret garden, and she thought it an ideal place for the cardinal, a wetland plant with an aura of the rain forest, which craves a secluded habitat where it may keep its feet wet and its head crowned with sunlight. Hidden beneath a residue of autumn past were infant seedlings resembling those of the cardinal-flat green rosettes of leaves with baby fuzz still intact. But she was uncertain so she would return later when jewelweed and goldenrod bloom, in the time of the cardinal. Fate intervened. A few weeks later four young people died instantly in a head-on collision beside the road that borders the woodland, steps away from a trail that leads down to a haven of seedlings. An entire community mourned and the crash site became a shrine. Candlelight vigils were held there and paper roses bloomed beside a white cross with photos of four smiling faces forever sixteen. The gardener considered the glen a temporary haven for the transitory souls of the children and so she did not return. Autumn faded; winter turned quickly cruel and the wilted roses shed red on newfallen snow. Spring came early with clouds of dogwood to grace the shrine. Chaste stars of Bethlehem shone on the hillside and burgeoning foliage hid the path beyond from the eyes of passerby. Summer followed long and sweltering. No rain fell and the wetlands withered. With late summer came rain, the heat subsided, Virginia creeper and sumac bled scarlet beside the road and white blossoms of autumn clematis covered the carnage of drought. A semblance of peace came to the shrine and the gardener returned to the glen. But the cardinal hadn’t come. Black eyed Susans bloomed in its place. In early September it appeared in her garden-rising from tall stalks of feverfew and ferns beside the porch, undetected until a bright beacon of buds reviewed the presence. A rare albino deer had come, as well, to linger briefly at the woods edge, pale and ghostly in the blue twilight. Hummingbirds returned-none had been seen all that summer. There is no explanation. Perhaps a single seed, dormant for centuries nurtured by one of many springs known to lie deep beneath the unique woodland, suddenly had awakened. It was the cardinal’s time.